Earn $11.55 in Rewards credit (1155 points) What's This? You are an artist, and the Unit Frameset from Kona Bicycles is your canvas. 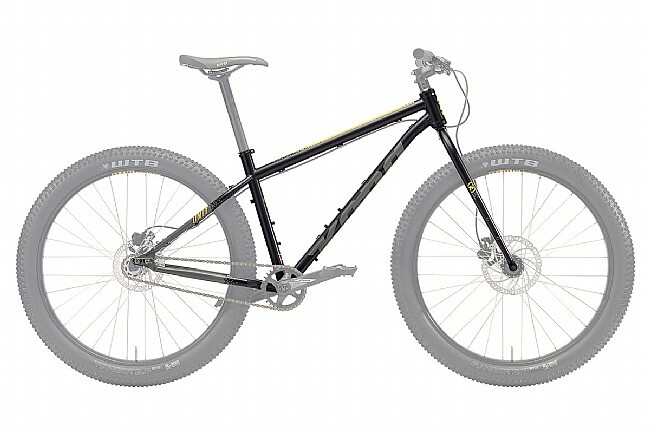 Singlespeed singletrack machine? Yep. Loaded up for a quick overnight or an extended bikepacking trip? Yep. Add whatever drivetrain you like? Yep. Reynolds 520 cromoly gives that unmistakable smooth ride, and the simplicity of a single speed drivetrain keeps your options open. Because you want to do it your way, and we’re cool with that.